Before you begin organising your garden upgrade, you’ll need to decide how much of the work you intend to take on yourself. It’s essential that you don’t underestimate anything before you plunge headfirst into buying wood for decking and gardening tools. You should also factor in the costs of hiring a professional, so get some no-obligation quotes. Let’s assume that you’re going to take the project on yourself – what are the main things that add value to your garden and property? Decking is an excellent way to showcase your outdoor space. If you follow the instructions and purchase decent materials, it’s simple enough to construct your own deck. And if you want to take it to another level – why not try and build your private veranda? Once you have a general idea of where your decking would go in relation to your outside space, you can work out where a water feature would work best. A tasteful water feature can add a calming environment for your garden, and most recycle the water they use. Add some containers with plants to line the outers parts of your decking, and you’re heading towards a savvy garden upgrade. As the nights get colder, you can fight off the chill with some fire. No garden would be complete without a wood burner or heat lamp. You can continue to enjoy your garden all-year by installing one or both. And for furniture, you can look into affordable repurpose benches and tables. Even if you go ahead and make this your project, you’ll need some assistance when it comes to transporting materials. That’s where a man and van service can come in handy, especially if you don’t have access to a suitable vehicle. Aussie Man & Van can help you transport all your materials and equipment for your project, saving you time and effort. We send out two dependable Aussie team members for every Man & Van service, who can help with carrying and other labour duties. Aussie Man & Van charges by the hour, which will help to keep your costs low. It’s worth remembering that you should have a budget in place before you begin your project. Furthermore, by using us for your man and van needs, you’ll only pay for the time you use. And if you don’t have somewhere to store materials and tools, no problem. Aussie has a range of storage options available for any situation. You can use our Self Storage service to keep everything safe from theft or damage after you’re finished for the day. Aussie works with hundreds of domestic customers every month, and many of them have or are in the process of upgrading their homes and gardens. We often talk to them about their experiences to see if we can learn and pass information on for other customers. And for the people who undertook the project themselves, it was crucial to have us there for things like moving materials and storage. 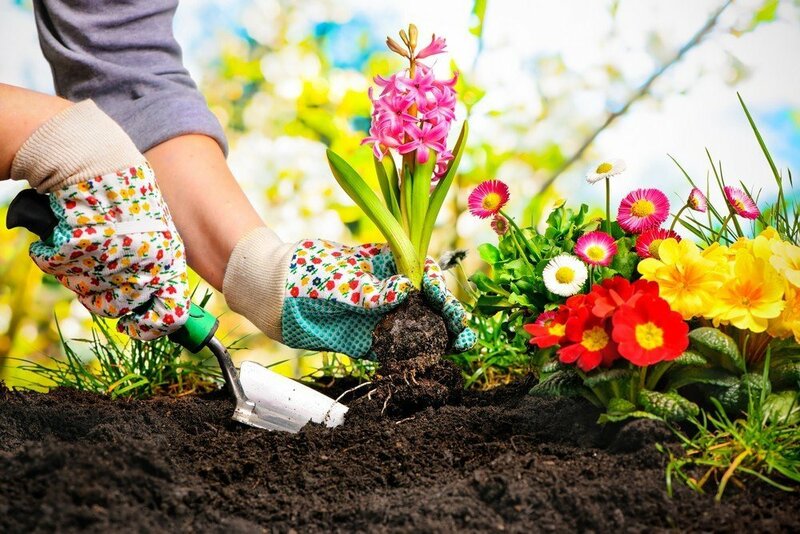 The great thing about upgrading your garden is that it’s an affordable way to improve your home. Additionally, it can be a fun project to take on, with some long-lasting results you can enjoy for many years. A vibrant garden is much more than just a selling point. You can exist in your very personalised outdoor space to enjoy some fresh air and seasonal changes. And when you wrap up your project, get your family and friends over to enjoy a barbecue. It’s possible to create your own little piece of paradise in your back garden. It just takes some imagination, hard work, and partnering with the right removals company. For more information about our Man & Can and storage services, contact us today. We’ll gladly walk you through our range of services.